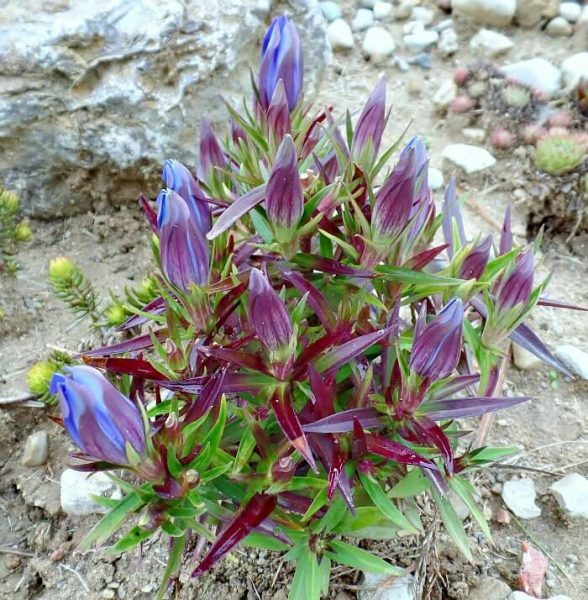 A few years ago, I discovered the Bottle Gentian. I bought a clearance container with a pretty blue flower but I was not familiar with it at all. This pot had a small evergreen and some pansies in it. The store was getting rid of everything in the fall and I got it for a few dollars. But tucked among these was a plant that I was not familiar with before this find. Vivid blue flowers with a long “unopened tulip” look were just gorgeous. I searched information on a blue flower blooming in the fall and discovered that it was a Bottle Gentian Gentiana andrewsii. 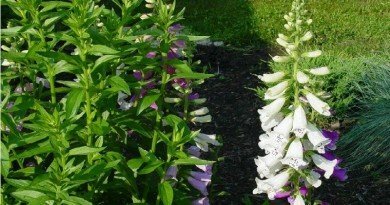 This is a native plant which grows in the mid-west and west. I had to read up on all of its information because I knew I had to keep this plant. I needed to know if I could over-winter it. Happily, it did survive and has come up each following spring and you can read about that in this post. I have moved it around and planted more around the garden. It has become one of my favorites. I am very excited to report that it is blooming again for the fourth fall in my garden now! Made it for four full years and now blooming once again! I have it in a partial shade area where it stays a little moist. 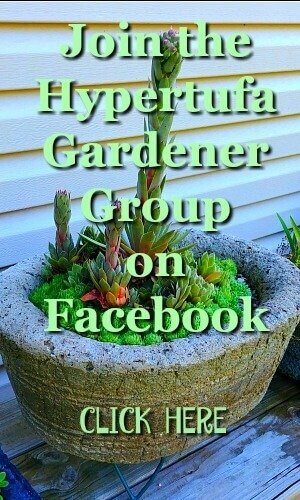 And since it has a long taproot, I have it in a pot which is bottomless. I hope it will keep growing and survive and reproduce so that I can do some experiments in containers. 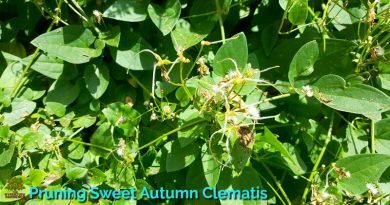 I have never noticed any seeds, but it dies to the ground and comes sprouting back up each year. 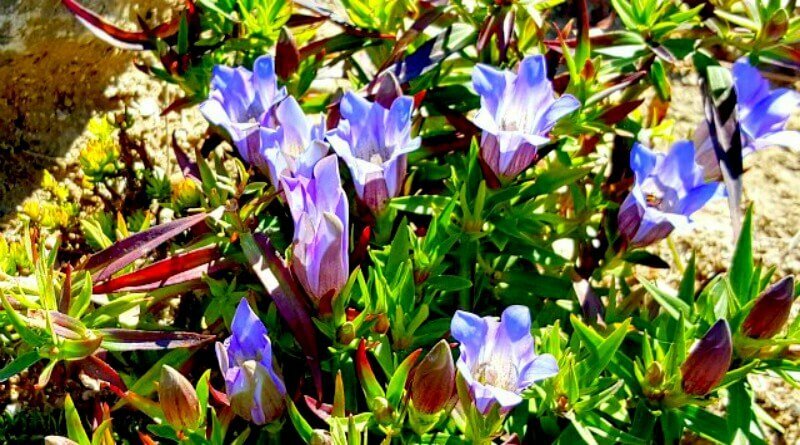 Bottle Gentian – Can I divide it? I have an offset of it planted in my gravel garden too, and it it going gangbusters. It is really nice to have a late-blooming fall flower of such intense blue. 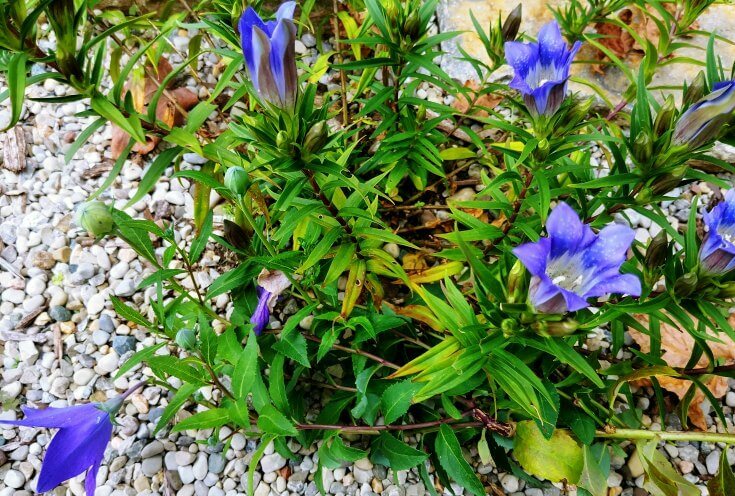 Here’s the Bottle Gentian growing in the gravel garden. There is a Balloon Flower leaning into it. Those colors are very similar, so if you like the intense color of Balloon flower, you will love the Gentian. 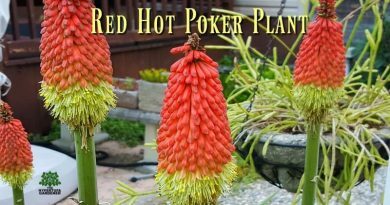 I think it is unusual for a plant to bloom this late in the year. As you can see from the old post referenced above, it blooms into the cold season and into snow too. 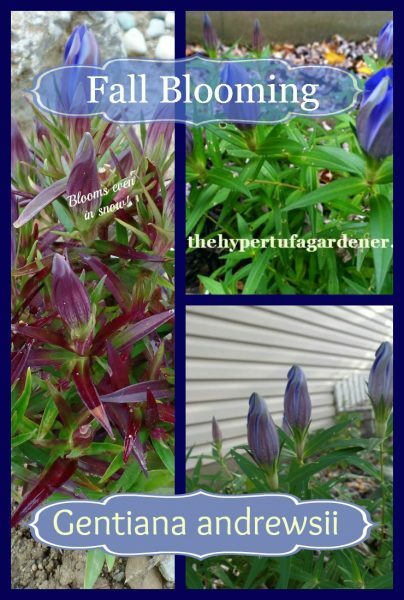 You may want to try this plant if you love the color blue. It is very similar in color to a blue Platycodon Balloon flower. I will make sure I put some leaves over it when it finishes blooming. We will soon be having those a hard freezes here in Ohio. 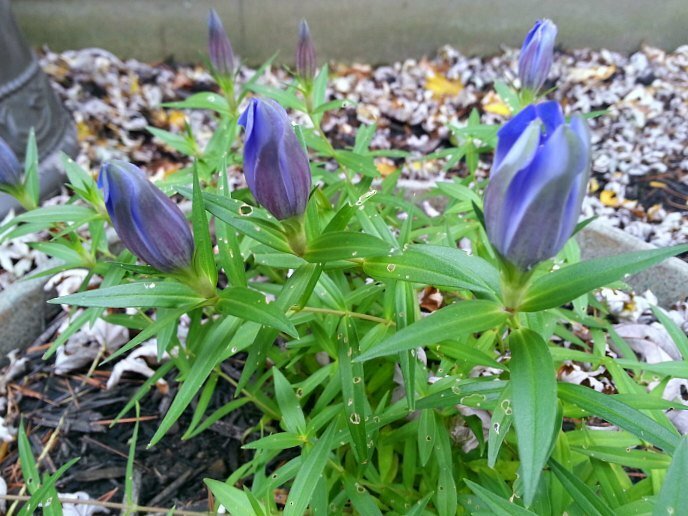 I certainly hope my gentian has grown deeply into the ground to survive once again. I would hate to lose it. I also planted some of my bottle gentian at the Rock Garden we’ve created and planted in the spring of 2014 at our Community Center. That plant is located where it gets a lot more sunlight and probably gets less water than my plant at home. I think both are doing well. I may transplant mine again next spring (careful with the taproot) so that it will get more sunlight. I really like the tighter growth on the one growing in sunlight. It is doing well in the gravel garden. 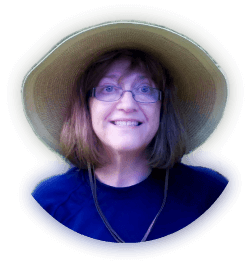 Enjoy this beautiful fall day and please subscribe and visit the Facebook page too. Leave me some photos of your plants. 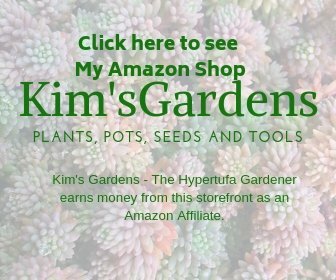 ← Keeping Squirrels Out of the Garden Planters?